Recruiting Digital Talent – We’ve got the Solution! 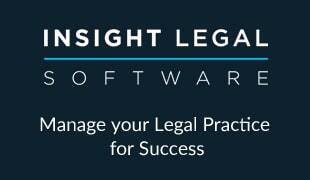 Across the legal sector we are seeing an array of firms working hard to stay abreast of digital changes. However, with the rapid growth of technology paralleled with a range of new skills and qualifications, one of the biggest issues companies face is recruiting the right talent to bolster digital efforts. Expecting someone with a legal background to hire a digital expert is a big ask. With limited-to-no knowledge of household tools like analytics and adwords (and many, many more! ), recruiters are forced to second guess what candidates are really capable of. Add to this the surge in digital talent flocking to tech start-ups and media giants, as well the financial burden that comes with the recruitment process, and you have the makings of a HR headache. Get the experts to hire the experts. mmadigital are now offering a new service whereby firms can hire our digital experts to guide you through the recruitment process. With decades of experience between our team, we can spot real talent from a mile off. These five services will allow you to make sure you’re getting the best advice, the best candidates and the most out of your time. From as little as £1,000, avoid running the risk of draining resources and potentially hiring someone who is incompatible with your future objectives. Click here and get in touch now to enquire about our brand new service.